“The Golden State” (California nickname) Is known for its endless beaches, pleasant climate, national parks – such as Death Valley, “The Valley of Death”, or Yosemite, of which we will speak soon, the “gold rush”, its wines, or cities like San Francisco , San Diego or Los Angeles (with Hollywood as “the mecca of cinema” and glamor), today we bring you an authentic episode of “American Way of Life”. Its about Pony Express Mail, an episode that took place in the s. XIX in lands of the “Far West”, following the trail of caravans of the mythical and hard conquest of the west, and that many lovers of the adventure, the trips and the history realize every year on foot or on horseback, as with the Parallel US Route 66 for motorcycle enthusiasts. Founded by Benjamin F. Ficklin and Alexander Majors, The Pony Express was brief but intense. It was a courier service that crossed the United States from St. Joseph to Sacramento. Rude, intrepid men rode through ardent deserts, endless prairies, fertile valleys, and snowy mountains of the states of Missouri, Kansas, Nebraska, Colorado, Wyoming, Utah, Nevada and California, Carrying the communications between the rigorous climate by hard roads in which the presence of wild animals, bands of Indians, rebels or robbers was frequent. Once in Sacramento, the mail was taken by boat or overland to San Francisco. It was another time and the landscapes, no doubt, authentic and magnificent. 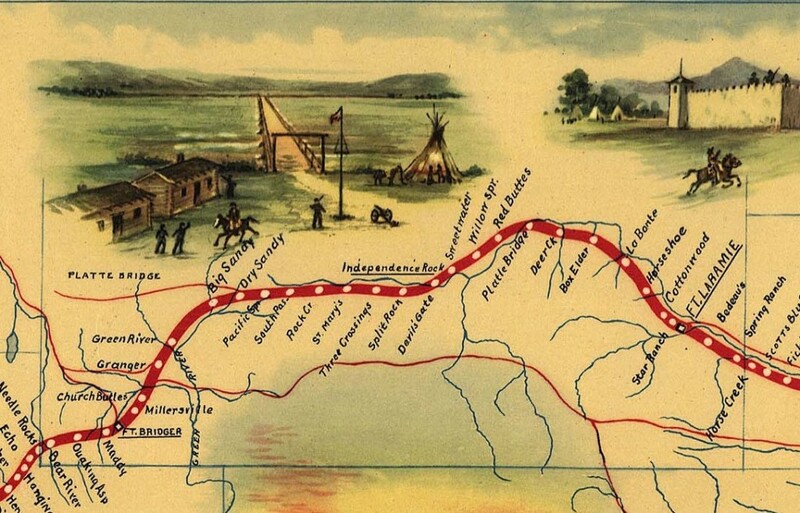 50 risky riders and 500 speedy horses – in 190 stations – faced the 3,165 km of the route in 10 days (twice a week), with which its founders sought an exclusive contract with the Government, Representing a unified transcontinental system, faster and safer than the traditional stagecoach or sea route, which could operate all year round and significantly shortened the time the mail took to arrive (25 days on average) from the Atlantic coast To the peaceful of the country. Small, sturdy and fast horses (type “pony” of breeds as kentucky or mustang) were galloping for about 20 km, loaded with a small rider (less than 56 kg, who was relieved every 140 km approximately) on a mount “santa fe” type and mail bags, being changed at each post. Among the riders – riders – would be enlisted from legendary figures such as Buffalo Bill Cody or Wild Bill Hickok to intrepid boys like Bronco Charlie Miller, of only 11 years of age. The place was swear over the Bible and the pay was good: $ 25 a week. Under the motto “Mail must pass”, Everything was fit for a new epic, but the advent of the Civil War (1861-1865) and progress would not forgive it: the additional insecurity of the civil war and the early implantation of the telegraph and the first transcontinental railroad would He soon after his birth, condemning him to be part of the epic and legend of the Far West, as another topic of hard individualism that conquered a nation. In their short life, the riders would cover a total of 985,000 kilometers..